As levels are completed, kids accumulate points to unlock characters from throughout the history of the series populating all the Elwood City interactive character scenes. Contains No In Ap Purchases. The App focuses on pro-social values and friendship. Each game allows kids to explore the ARTHUR world and collaborate and compete with their favorite ARTHUR characters. • A music game in which kids to play a variety of tunes including the ARTHUR theme song. • A costume game in which kids have to help Muffy get the rest of the gang into costume and ready for the school play! 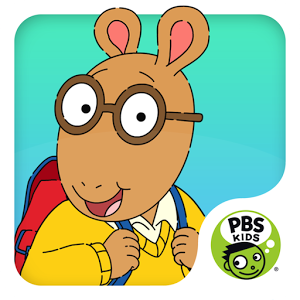 Arthur’s Big App is based on the PBS KIDS series ARTHUR, produced by WGBH, and designed to extend the series’ pro-social curriculum.